Your One-Stop Shop For Quality Removals Services In Gipsy Hill SE19! Removals London can help you to have an easy and stress-free move in Gipsy Hill! We have professional teams, a range of services and the perfect prices, vehicles and more! Our company specializes in a whole host of removals, ranging from office removals to furniture removals and everything in-between. Call us and make your booking and we’ll arrive at your property, carefully and thoroughly collect all your goods, load them into one of our vehicles and transport them securely and quickly. We’ll save you the stress and hassle that comes with moving, and we can help anyone in the SE19 and SE27 areas. Talk to an expert today by calling 020 8746 4334! We strive to provide the best quality of service for all of our customers, which means we work exceptionally hard to deliver fantastic results. All of our removal services are 100% guaranteed, and are all comprehensive to give you everything that you need. Our teams in SE19 are all fully-vetted and highly specialised, and with a friendly smile and positive attitude we’ll make moving house easier than you thought possible. We offer lots of perks to our clients, including flexible moving services with evening and weekend availability, as well as Bank Holiday bookings! There are lots of reasons to choose us for your move in Gipsy Hill, so why delay? Call anytime to book! Everyone knows how expensive moving to a new property can be, but if you hire our removal company in SE19 you can enjoy professional services for very low prices. With lots of special offers and exclusive discounts to help you get the best value, you won’t be disappointed in the price we will offer you! All of our removal services are competitively priced and very affordable, and we’ll provide you with skilled and friendly movers even if you’re on a budget. Get a free quote with no obligation necessary by calling us now, and see for yourself. Hire the best company in Gipsy Hill for your move now by dialling 020 8746 4334! 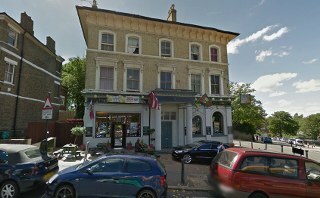 Gipsy Hill is found in the London Borough of Lambeth and sits closely to the London Boroughs of Southwark and Croydon. Gipsy Hill is a mostly residential area that’s popular amongst families, thanks to the area’s many schools and open spaces. Along with excellent amenities including a high street for shopping, bars and restaurants, Gipsy Hill also pays homage to its historical roots with many churches and places of worship. These include the Christ Church, which has a private dwelling that is a Grade II-listed building. Gipsy Hill’s closes neighbours include Crystal Palace, West Dulwich and Upper Norwood. The area is served by the nearby Crystal Palace railway station and many bus routes. Find top tier removal services that make moving a breeze! If you have concerns about your move to a new office or home then there’s no need to panic – our team are just waiting to help you! Pick up the phone today and hire Removals London for the best award-winning office and house removals services that won’t let you down. Our passionate and dedicated experts will provide you with exceptional moving services to give you the easiest, safest and fastest move of your life, so why not contact us now? We’re proud to offer some of the best removals help in the whole of Gipsy Hill, so call now if you’re moving in SE19 or SE27! Book now on 020 8746 4334!